Hungry Halloween: Are you hosting a Movie Monster Munchies party this year? 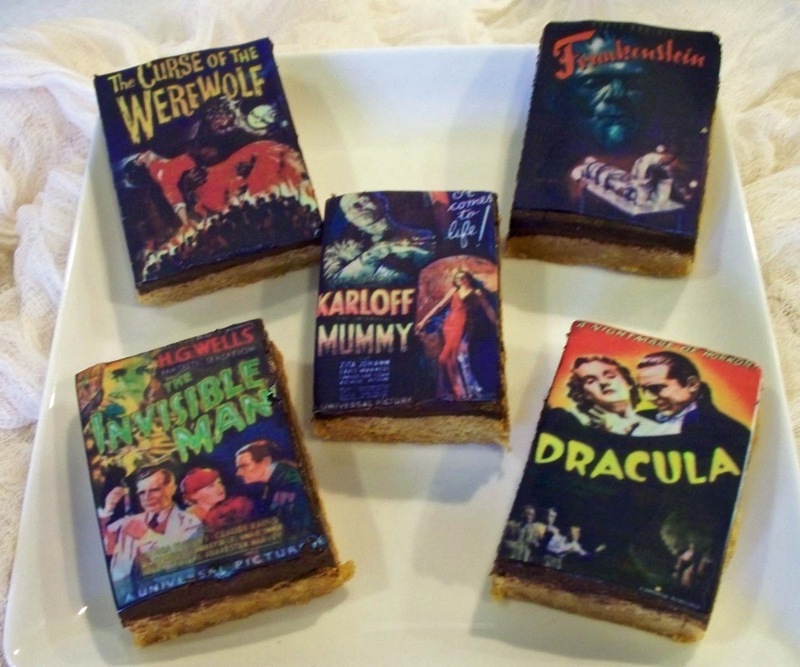 Are you hosting a Movie Monster Munchies party this year? Last year for our Movie Monster Munchies party I made delicious peanut butter bars topped with a black raspberry infused ganache. To see the recipe for these Monster Brownies, click here and you'll be redirect to Hungry Happenings.com. I found the cutest collection of Movie Monster themed party items from Oriental Trading Company. So if you decide to host a Movie Monster Munchies party and serve some of my fun themed recipes, you will love this collection. It is cute not classic, but it fits the theme extremely well, especially if you are hosting a kids party. They have everything from party ware, party favors, games, banners, and more. Click here to view the entire "Boo Bunch" collection. My favorite item in the collection is and assortment of edible images you can put on cupcakes and cookies. They feature cute vampire, mummy, Frankenstein, and werewolf faces as well as jack-o-lanterns and witches. Click here to purchase"Boo Bunch" edible images. This "Boo Bunch" party collection is so cute that I now want to have another movie monster themed party. It will have to wait for another year, though. This year our party theme is going to be the Carnival of the Creepy Crawlers and you can image what that entails. More on that later! Wow, those monster cakes look amazing! !